IT IS OUR GOAL TO ENCOURAGE STUDENTS TO DISCOVER THEIR LOVE OF MUSIC AND INDIVIDUAL CREATIVE EXPRESSION. Our focus is on proper technique and a caring approach to music acquisition. Private lessons begin as early as age five and match the child's individual pace and learning style. Parent participation is encouraged, giving the student support from home as well as from lessons. We encourage students to participate in group (repertoire) classes in addition to private lessons. Connecting young musicians increases motivation and improves playing. Mrs. Janet Peterson relocated to the Sandpoint area from Olympia, WA. where she played violin in the Olympia Symphony for nearly thirty years. Janet is a professional Suzuki trained violin instructor. Janet's passion is helping children experience the benefits of creating music. Mrs. Peterson contributes her expertise to our Music Matters! after school outreach program as well as providing individual and repertoire instruction. Loi Eberle began playing cello at age 8, soon becoming a member of the Minneapolis Youth Symphony and the Minnesota All-State Orchestra. She studied cello for 4 years with one of Pablo Casals’ students, and was accepted in Northwestern University’s School of Music at in Evanston, Ill, where she studied music performance and played in the Northwestern University Symphony for one year. She then expanded her studies to include educational media, graduating Northwestern University with a BS in Communications. She co-founded the Amazingrace Collective, and for three years helped them produce small and large venue musical performances with local and nationally acclaimed musical groups on and off campus at Northwestern. She received her Master of Arts in Education at the University of Minnesota, studied cello with the assoc/principal cellist of Minneapolis Symphony for 3 years, performed with the Minnesota Civic Orchestra, then the St. Cloud community Orchestra. She began her doctoral studies in Educational Psychology at Indiana University, where she completed 45 credits. Loi has studied cello with the assoc/principal cellist of Spokane Symphony since 1990, is the principal cellist in the Pend Orielle Chorale and & Chamber Orchestra in Sandpoint, Idaho, and in the Panhandle Symphony in Coeur d’Alene, Idaho. Mr. Nathan Baker is excited to join the faculty of the Music Conservatory to put some of his experience as a professional jazz, bluegrass, and classical musician to use as a teacher. He is conducting the Public Program's children’s choir which meets at Farmin Stidwell this year, as well as offering electric bass guitar and upright acoustic bass lessons at the conservatory.  Ms Marianne Wall joins the Music Conservatory of Sandpoint faculty with over 20 years of experience working with children and a rich background in both classical and folk music. She understands the importance of music in the lives of children and is passionate about providing expertise and musical opportunities for those in her community. As a Suzuki trained violinist and teacher, Marianne shares the philosophy of Dr. Shinichi Suuki - "Teaching music is not my main purpose. I want to make good citizens. If children hear fine music from the day of their birth and learn to play it, they develop sensitivity, discipline and endurance. They get a beautiful heart." Marcy Hogan recently relocated to Priest River, ID with her husband, Brian. She is a professional freelance violist who has performed throughout the Southern California area. Marcy received a Bachelor of Music Degree in Performance from Chapman University. She continued her graduate studies at the University of Southern California. Some of the orchestras Marcy has performed with include the Pacific Symphony, the Long Beach Ballet Orchestra, the Orange County Philharmonic Orchestra, South Coast Symphony, La Mirada Symphony, the Disneyland Candlelight Orchestra, Torrance Symphony, Capistrano Valley Symphony and Irvine Camerata. Along with her orchestral experience, Marcy has performed with many small ensembles and chamber groups around Southern California, including the Emerald String Ensemble, of which she was the contractor and leader. Along with private viola and violin lessons in her home studio in California, Marcy provided music education programs, workshops and string coaching for the Philharmonic Society of Orange County, Pacific Symphony Santiago Strings, Arnold O. Beckman High School. She was a string specialist on staff at El Rancho Charter School in Anaheim, California. Mr. Hussey has been playing guitar for nearly fifty years and started writing music for the guitar about forty years ago. Dave taught beginning guitar lessons from an early age. His early interest in music and musical instruments led him to build folk instruments such as the dulcimer and hammered dulcimer. He worked for the Musical Traditions Company, during which time they were selected to sell instruments to the Smithsonian Institute. Dave has managed a music store dedicated to purveying the finest handcrafted musical instruments available to an international market. Later he worked in the field of television, with a concentration on sound recording. Dave engineered and produced two CDs, the first Leon Atkinson “Live at the Met,” and Dave’s first album, “Small World,” a collection of a dozen original compositions for solo guitar. Dave plays a style of acoustic guitar referred to as “finger-style.” This type of playing involves the use of the thumb to establish a rhythm on the bass strings which frees the remaining fingers to play melody and counterpoint in a manner somewhat similar to playing piano. Many piano songs have been transcribed for guitar and vice versa. Mr. Hussey has developed a passion for playing guitar over the years that continues an upward trajectory, both in personal enjoyment and satisfaction and a deep love of encouraging people, young and not so, to find the same “friend” in music. There are no boundaries. Andy Rising took up the cello at 11 years of age. The sound and dynamics of the cello captured his interest after listening to a record of Rostropovich performing the Dvorak Cello Concerto. Ever since that day he was loaned a Cello from Eisenhower Middle School in San Antonio Texas, he could hardly stop playing it. He has had many great teachers: his first from the San Antonio Symphony (Annett D’Giocia), and one 0f his last is a renowned international performer (Yehuda Hanani). Andy was born in Kealakekua, Hawaii. Water has been part of his life and inspiration. After all, music is a collection of waves! The ability to ebb and flow, like the living waters, was borne of his Hawaiian upbringing and speaks to his bowing technique and compositions. Andy is a composer who has traveled to many National Parks and spent many a month in the great outdoors where much of his music is dreamed up. Andy loves to improvise and create the song of the moment. He also loves Classical music- with the amazing breadth of emotion and communication it brings to us, along with its ability to connect centuries and generations.